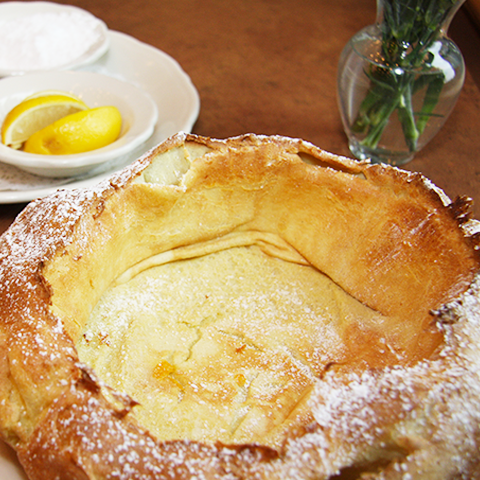 This large, bowl-shaped pancake has a soft, custardy bottom and light, airy sides. Dusted with powdered sugar right out of the oven. Mix a side of lemon juice, powdered sugar and whipped butter for a sweet and tart treat. Try it with sliced bananas.